Nintendo's new handheld doesn't seem to have the Wii-like appeal that the company hoped it would, or least, not according to GameStop. Videogame retailer GameStop believes that Nintendo's latest handheld, the 3DS, won't sell as well as projected, as least not in the next quarter. 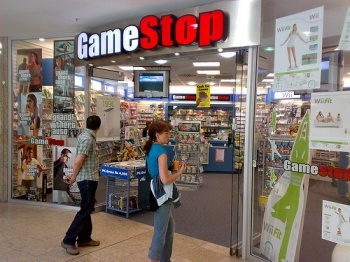 Speaking during an earnings call, GameStop president Tony Bartel said that the company had managed to capture significant market share with the 3DS, but expected a slight slump in the future. The 3DS has sold respectably well, and Nintendo had over 3.6 million units by the end of March. Unfortunately, Nintendo seems to have overestimated the draw of its glasses-free 3D, as it had predicted that it would ship 4 million units by that point. What's more, while Nintendo claimed the 3DS launch was a success - Nintendo America President Reggie Fils-Aime said it was the biggest launch of any Nintendo handheld to date - the response to the New York City midnight launch was smaller than Nintendo had expected. Back in April, Nintendo boss Satoru Iwata blamed slow sales in Japan on the recent earthquake and tsunami that had devastated the country, although he admitted that didn't explain the relatively slow sales in the rest of the world. He said that Nintendo would step up its marketing efforts, and would emphasize the launch of the 3DS eShop and the 3DS' expanded video content.